BOUILLABAISSE – named after the soup and inspired by the sea the collection holds both fishtails, crab claws and seaweed in oxidized silver. Fang is a minicollection coonected to Bouillabaisse, based in North ferocity. 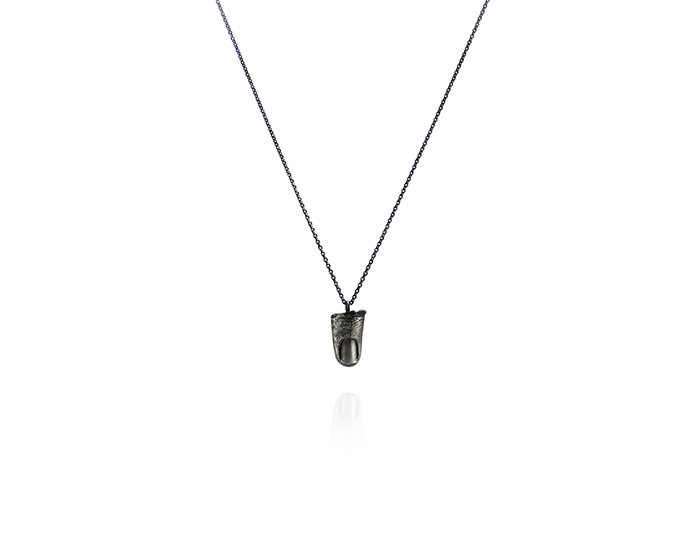 It combines organic shapes found in nature with tight and simple designs in oxidized silver. Here you can get the Fangs in silver. Simple, raw and beasty as hell!